Michael Netzer has finally returned to comic book art in a big way. 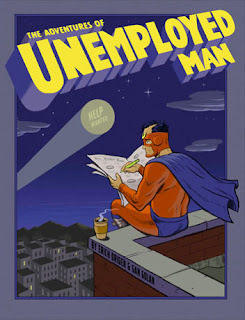 Hot on the heels of his stunning Green Hornet cover art comes his latest project: The Adventures Of Unemployed Man. It's been a while between drinks for Mike, and his return to sequential art is very welcome and long overdue. An 80-page, full-color superhero comic satire from New York Times bestselling authors Origen & Golan (Goodnight Bush), In this hilarious and poignant book, Unemployed Man finds a new sidekick, Plan B, and teams up with other everyday heroes to fight The Human Resource, Outsourcerer, The Invisible Hand and other economic villains ripped straight from today’s headlines. THE ADVENTURES OF UNEMPLOYED MAN features art by Ramona Fradon, Rick Veitch, Michael Netzer, Josef Rubinstein and Terry Beatty. 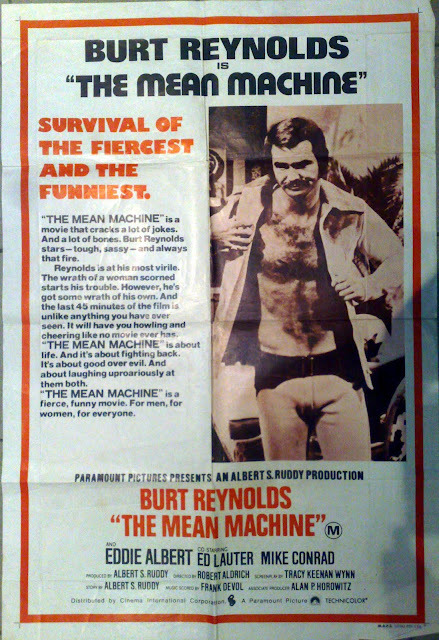 I know it was called The Longest Yard when it was released in the USA, but I saw this at the cinema under this title, The Mean Machine. As we all know there were two remakes, an Adam Sandler copy and one that was pretty much put together by Vinnie Jones. Personally I like the Vinnie Jones effort more than the Sandler version. Somewhere I think I have a poster for the Vinnie Jones remake. The above poster is the original Australian full sized movie poster, which, I'm told, is a hard item to find these days in any decent condition. I scored that poster, and the one below, at a Sunday market recently for a small fee - I shan't tell you how much as I know people will curse, cry and gnash teeth. Suffice to say I'd love to get it framed and on the wall, but for some reason, the better half has no desire to look at Burt and his hairy chest. Oh well. I was recently asked in an email about the latest entry in Rich Buckler's life story in relation to Klaus Janson's first job. Now Klaus is one of those guys who, it would almost seem, has been around forever, so I guess the idea that he started somewhere was a bit alien. 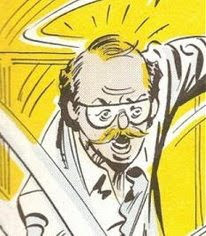 Klaus is most famous for inking Frank Miller on both Daredevil and the first Dark Knight series, The Dark Knight Returns and has become a mainstay of the comic book industry, and rightly so. 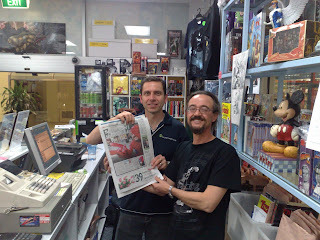 Klaus is one of those rare beasts who can pencil as well as he can ink, and he colours as good as anyone else to boot. But before any of those jobs Klaus did some excellent work over Rich's pencils in both Deathlock and Black Panther. Two years before Norm Breyfogle was tapped to redesign Batman, he was also approached, along with a number of other artists, to redesign Robin. The main reason behind this was the continuing interest in Batman, and the elimination of the second Robin, Jason Todd, and the introduction of a new Robin, Tim Drake. "These Robin costume designs constitute the full and complete presentation given by me to DC Comics in 1990 when I was asked - along with a number of other artists - to re-design Robin's costume for the new Tim Drake Robin that Alan Grant and I and others introduced in Batman and Detective Comics," says Norm. "The winning costume was one designed by Neal Adams, but the new Robin's "R" symbol was influenced by the "R" symbol I designed in this presentation, and the fact that the new Robin carried a staff was also my idea, as evidenced by these pages." I generally don't bother pimping for other people's blogs unless I actually read their content and enjoy it. That's a good thing in the case of Al Bigley's blog, Big Glee. Big Glee is a blog with a bit of a difference, as Al says, "Helmed by comics artist Al Bigley (GEMINAR, AVENGERS WEST COAST, BATMAN ANIMATED, ARCHIE, SONIC), this site will not only re-visit Silver and Bronze Age comics oddities, but also look back at Al's artwork from his childhood, in a humorous, lighthearted way!" And there lies your difference. Al is one of the most self-depreciating artists I've ever met, along with being one of the more talented. Al isn't above showcasing art from when he was a child, and also when he was just breaking into the industry, and letting it run as is. He'll freely point out what he sees as being sub-standard, but he's also happy to take the praise. Via the Ann Arbor online newspaper - I felt it was worth repeating as a great example of Marvel doing the right thing by a former employee and without the fanfare that usually surrounds such actions. Now, perhaps they can do the same for the Kirby estate and either settle or officially award Jack Kirby with co-creator status on the work that he did for them. As the estate have gone for legal action and are attempting to claim the lot, well, I shan't hold my breath. Still, combined with seeing the names of a lot of people in the credits or Iron Man II, including the Romitas, Gene Colan, John Byrne and Bob Layton amongst them, along with the credit, "Based on the Marvel Comic by Stan Lee, Don Heck, Larry Lieber and Jack Kirby", there's hope that Marvel might be finally developing a conscience.